Engage anyone via any channel at any time — personallyPersonalized interactions across all channels. Better experiences. Better outcomes. Your stakeholders are diverse, so every interaction counts. That’s why Onvida provides highly segmented, personalized interactions with any contact at any time. Now, all channels integrate. 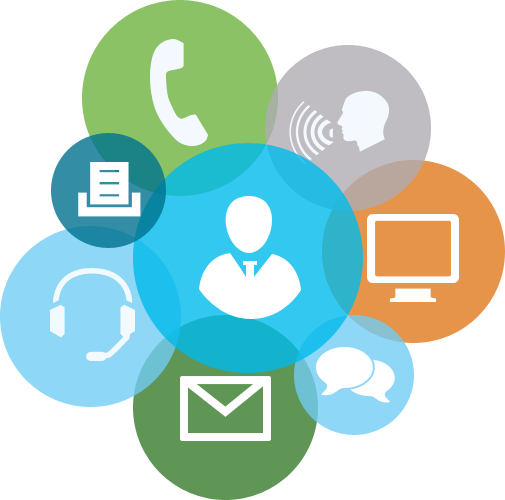 Phone, smart IVR, site chat or video chat, social, mobile, and portals work in unison. Customer experiences improve. Engagement is complete. Find out how to capture, synchronize and route every interaction for the best experience. And get the insight you need from centralized data, analytics and reporting. It’s time to create healthier outcomes with Onvida. Better customer experience. Better engagement.